Corn pile, hay maze, and slide. You can receive a coupon for a free pumpkin by visiting a model home in Lake Las Vegas. Halloween themed arts & crafts! Admission $8. Children ages 2 and under free. Springs Preserve members receive 50% off. 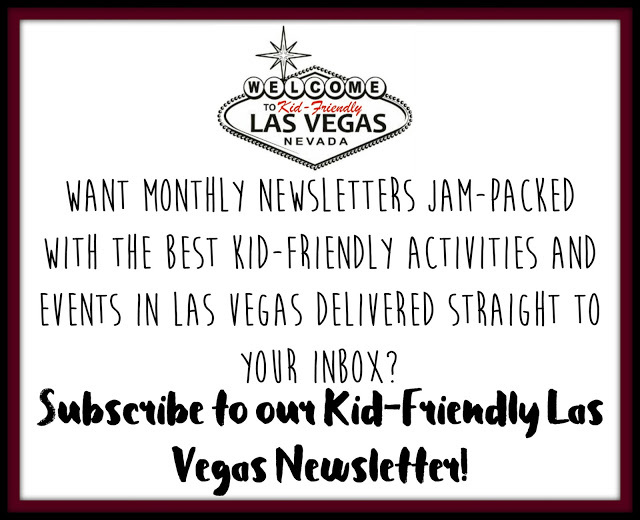 The family-friendly event features trick or treat stations, carnival games and circus activities, a petting zoo, crafts, live entertainment, and much more fun. *While costumes are welcome at the Haunted Harvest, adults are not allowed to wear masks. Good for ages 13 and older. Good for children ages 4 - 12. PASSPORTS INCLUDE ADMISSION AND UNLIMITED RIDE AND ATTRACTIONS WRISTBAND. Ride tickets may be purchased separately inside the park. 7222 West Grand Teton Drive Las Vegas, Nevada 89131. Antique tractor hay wagon rides, cow train for toddlers, pony rides, concession stand and more. Visitors will find a large selection of specialty pumpkins and squash, along with artisanal breads, jams/jellies, our amazing local honey and our fresh eggs from right here on THE FARM. Children under 18 must be accompanied by a parent or guardian at all times. Haunted house and a costume contest on October 27th & 28th. Kids under 4 are FREE. General admission: $12 per person. 2017 Wet'n'Wild Las Vegas Season Pass Holder: $8 per person (1 discount ticket per park pass). All activities are included in the admission fee (including dance parties) except trick or treating and paintball. Paintball is $10 for 100 paintballs. Dark Knight Entertainment presents Halloweenville at Wet’n’Wild Las Vegas, a ghoulishly delightful occasion for all ages. Experience the park like never before and see all the damp creatures left behind once some of the water is drained and the slides are at a halt. Wet’n’Wild will be overflowing with jack-o-lanterns, haunted train rides, an ominous laser swamp, zombie paintball zone, treacherous rock wall, trick or treat village and more. Haunted park-goers will also have the opportunity to feast on twisted carnival fare and quench their thirst with creepy concoctions. 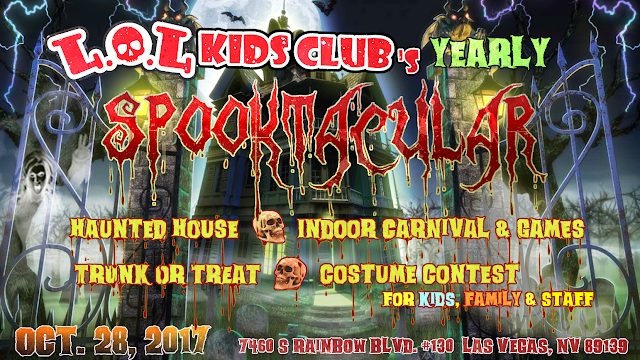 All kids in costumes will get FREE trick or treat bags and their parents get in FREE! This session is strictly for ages 7 and under. Parents are required to stay on the premises. There will be treats, face paintings, games, and lots of Candy! They encourage children and parents to dress up in costume! This session is for all ages. Parents are required to stay on the premises. There will be treats, face paintings, games, and lots of Candy! They encourage children and parents to dress in costume! Spooky tunnels filled with trick-or-treaters, costumes and jack-o-lanterns make Hallow-Reef at Shark Reef Aquarium at Mandalay Bay Resort and Casino the place to celebrate the Halloween season. 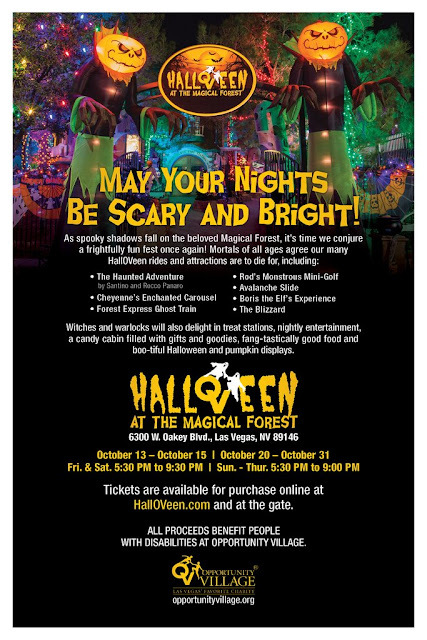 First responders in Las Vegas and the surrounding communities with valid ID will receive up to four complimentary entries to Hallow-Reef, plus a parking voucher throughout the event. The invitation includes police, fire, emergency medical services and hospital personnel. On Friday, Oct. 27th, in honor of Community Day, American Red Cross will be on site for visitors interested in donating blood. Guests 17 (16 with parental consent) and older who give blood will receive complimentary admission to Hallow-Reef and parking on the day of donation. To make an appointment, visit redcrossblood.org and enter sponsor code: Shark Reef Mandalay Bay. Also on October 27th, children 12 and under who visit Shark Reef in their Halloween costumes will receive complimentary aquarium admission and sweet treats. The fun continues through the weekend with a costume contest and discounted Shark Reef admission of $7 for children 12 and under in costume. Trunk or Treating is FREE! $10 wristband will give unlimited access to the bounce houses, bungee trampoline, and carnival. This family-friendly event will feature a haunted house, pumpkin painting, children’s games, a costume contest, the DUP annual soup cook-off, raffle prizes, and much more! Fun, games, costume contests, and also a FREE safety class. All children and families are invited to join in games, face painting, bounce house, free hot dogs, and, of course, CANDY!. All are welcome! This event is free. Safe trick-or-treating for the kids, costume contest for kids & pets, arts & crafts, and food trucks. There will be trick or treating for kids, free candy, Amazon gift card giveaways, costume contests, and more! 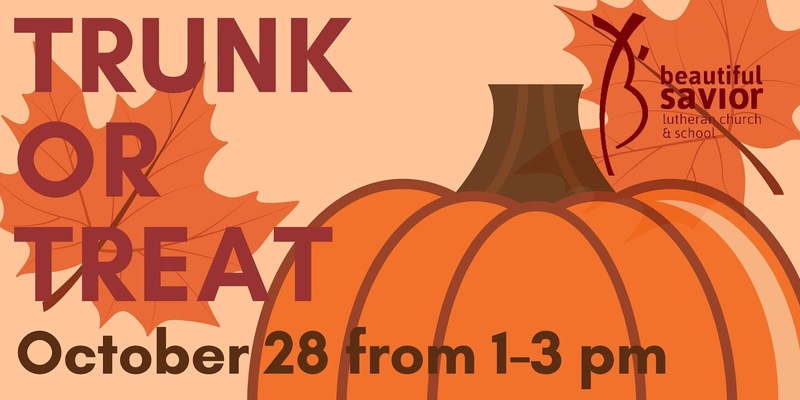 Live music and dancers, a kiddie zone, face painting, music and crafts, trunk or treat street (at 4 PM, while supplies last), festival margaritas, food, and more! Cook-off begins at 6:30 PM with Chili Served till its gone. Trunk or Treat ribbon cutting is at 7:30 PM and we'll give out candy until its gone. There is no charge for the Trunk or Treat, but if you want a Chili Dinner it's $10 for an all you can eat bowl. Kids under 9 years old eat free!! There are 1st, 2nd, & 3rd place prizes for best-decorated cars and chili, there will also be a kids costume parade. Games, Bouncy Houses, Food Trucks, Cake Walk, Costume Contest, and a Car Decorating Contest. Dare to show off your best costume and trunk to win the contest! Trunk or Treat is from 4 PM - 6 PM (free). $15 will get you an unlimited wristband to bouncy houses and all games, except the cake walk. FREE Trunk or Treat event at Shadow Hills Downtown in partnership with Reformation Lutheran. 1 PM - 4 PM: “Family Fiesta” event presented by artist Justin Favela in the Boneyard. "Family Fiesta" incorporates Favela’s real-life family, food, drinks and music in an unconventional outdoor setting. The public is encouraged to participate in the celebration by engaging in games, dances, music, cuisine and piñata time. 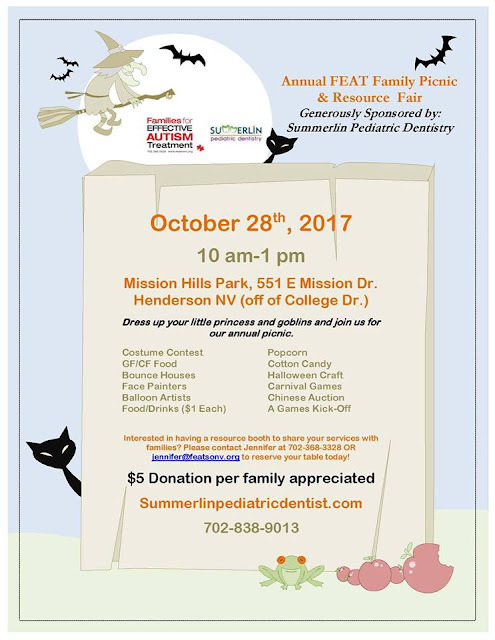 Costume contest for children and pets, arts and crafts, snacks, food trucks, music and more. Take hayrides, dance to the DJ’s music, and strike a pose in our photo booth. Plus, there will be food trucks serving delicious snacks! Hosted by Grace City Church. Free food, carnival & sports games, costume competition, chili cook-off, face painting, photo booth, and so much more! Halloween Free Comic Book Day is on Saturday, Oct. 28th. All day party includes refreshments, free face painting, free candy for kids dressed in costumes, and sales throughout the store. Dress up your little princess and goblins and for the Annual FEAT Family Picnic & Resource Fair! Festivities include a costume contest, food, bounce houses, carnival games, face painters, balloon artist, Chinese auction, A Games kick-off, cotton candy, popcorn, Halloween craft and MORE! $5.00 donation per family appreciated! 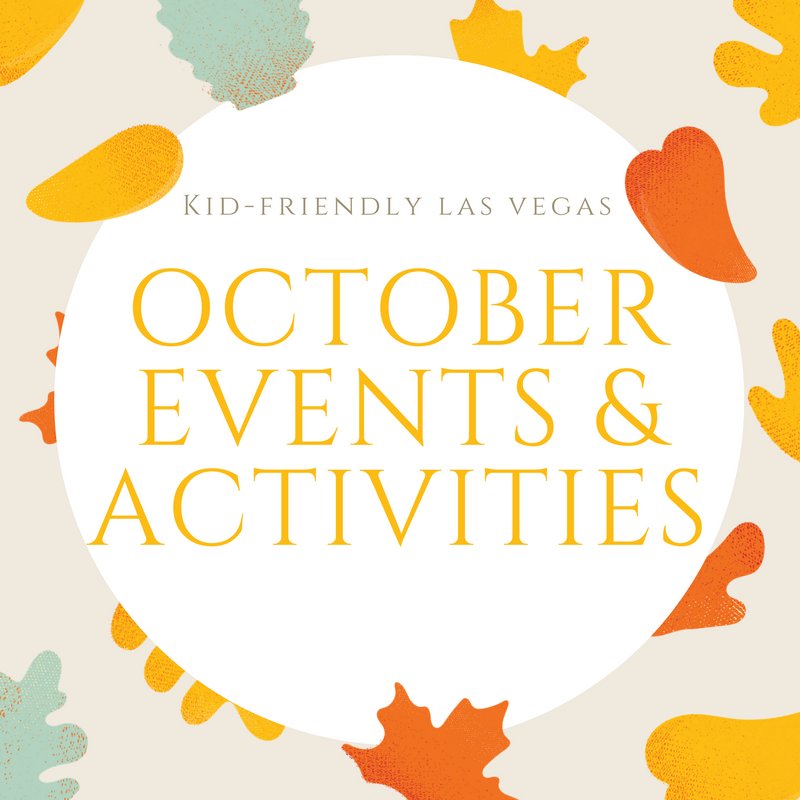 Pumpkin Decorating, Face Painting, Halloween Games, Food & Snacks, and more! 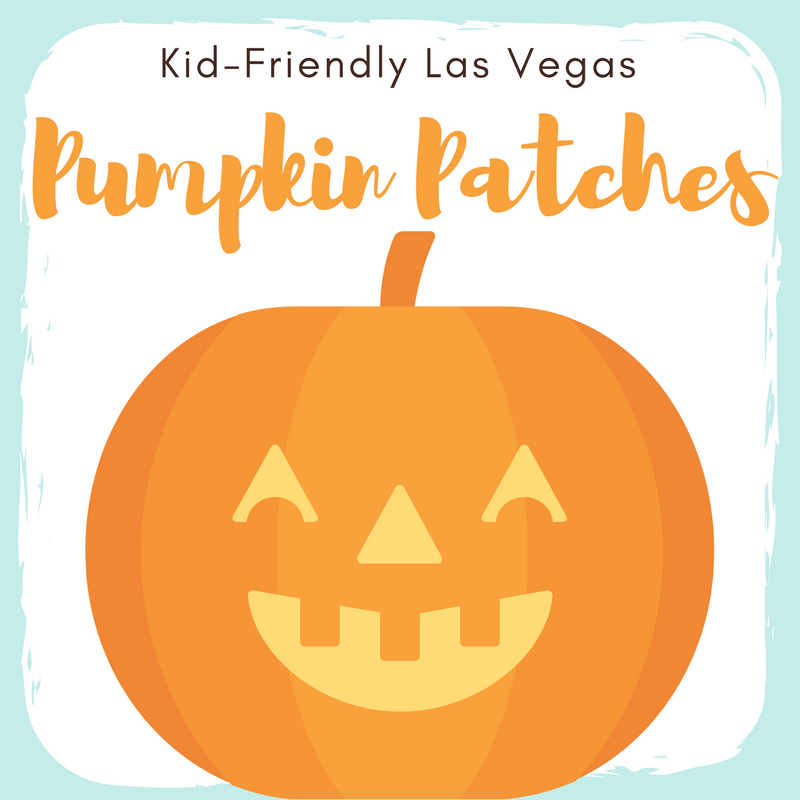 This parent-and-me event will get you and your kids in the Halloween spirit with pumpkin decoration, a Monster Mash dance party, snacks, costume contests and more. The best parent-and-child costume will win a prize! Register at the Activity Center today! Come in costume to trick or treat! This event includes train rides, petting zoo, snacks, face painting, and more! Parade starts at Maryland Pkwy. and Fremont and ends at 7th St. and Fremont. Kids in Costume ride FREE! Adults are $10. Train will be decorated in a "ghouly" holiday fashion. Train Departs at normal times (10 AM, 11:30 AM, 1 PM, & 2:30 PM) on both Saturday and Sunday. No advance ticket purchase required. Carnival games, Bounce house, Obstacle course, Kids’ train, Food and drinks, and Cotton candy. Fall-A-Baloo is a free event with candy, food, games, and more. Costume/cosplay contest, Raffle with the Walkathon, Amazing Prizes, Lots of vendors and a food truck. 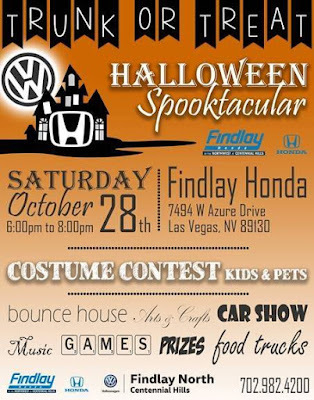 This FREE community event will have Trunk or Treat, Food, Bounce Houses, Carnival Games, and tons of CANDY! Featuring a Kids Craft Station with Pumpkin Decorating, a Candy Station and Face Painting! 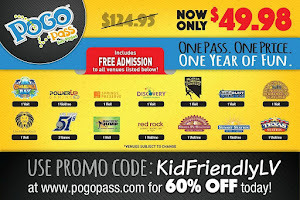 Plus, receive the first hour FREE at Kids Quest Red Rock when buying 3 hours. There will be Pumpkin Decorating, Face Painting and kids receive a Kids Brunch item, for just $10. 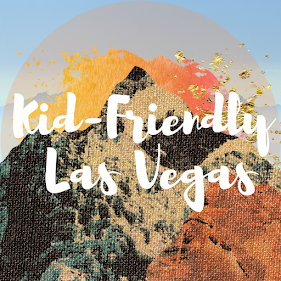 Plus, receive the first hour FREE at Kids Quest Green Valley Ranch when buying 3 hours. Interactive Theatre Play "Ghost Story", party with Witchy Witch Maxine and Facepainting. Grab your tickets, dress up and let`s party! Cars' Trunks will be decorated for Trunk or Treat in the parking lot in front of the gym. Bouncy house, beverages, & prizes for Best Dressed Costume will be provided! There will be volunteers in costume stationed throughout the sanctuary with goodies for ALL the kids (non-vegan, vegan, non-candy) as well as entertainment and music in the amphitheater. A puppet show and maybe even a dance party! Craft Fair vendors will be set up in the amphitheater (and they'll have goodies as well). There will be food vendors, crafts for the kids, a silent auction, a raffle table, and a bake sale. Adult entrance is free and just $5.00 for children over 2 years of age. Get your kids costume-ready and have one sweet time trick or treating with your family. All ages welcome to compete in our two divisions. 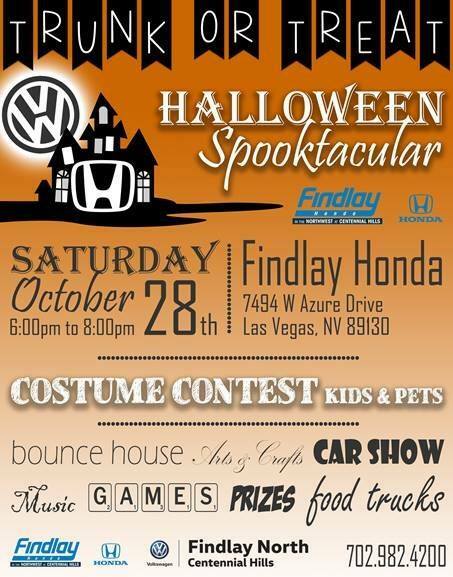 *Judging will be done on Findlay VW’s Facebook Page through 9 PM October 31st. Costume Contest, Prizes, Haunted House, Carnival Games, Face Painting, Food, and Music. This event is free and open to the public and will feature dozens of exhibitors and community partners. In addition, there will be fun games for kids of all ages, food for everyone who attends and of course, lots and lots of candy! Trunk or Treat featuring one of the cool book characters Cooley Ant! Armed Forces Chamber of Commerce Presents Trunk or Treat! The public is welcome to attend this event and admission is FREE. There will be contests, prizes, and free candy (while supplies last). Bring in your children to trick or treat in this child-friendly store. They will have goodies and lots of great crystals and stones for them to check out including little dolimite animals. They also have our train room that the children love. Super bouncy slide, face painting, cotton candy, popcorn, carnival games, and lots of candy. All free to the community. They will also have an amazing food truck on site. 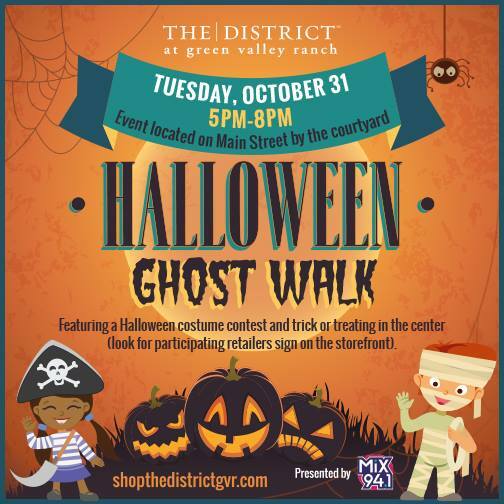 FREE Events include Candy distribution at DTS retailers, A Las Vegas Metro Police Department Spooky Block Party, Wicked fun photo-opportunities with the Clark County Fire Department, and A “Howl-O-Ween” dog costume contest benefitting the Animal Foundation. Food Allergy Research & Education’s (FARE’s) Teal Pumpkin Project pop-up featuring non-candy items for trick-or-treaters, Family fun photo booth, and Largest Drone Selfie at 6:55 PM sharp on Park Centre Drive – look up and smile! Guests are encouraged to come dressed in their best costumes and enjoy trick-or-treating throughout the mall. Guests will also have a chance to participate in costume and best carved-pumpkin contests. Event and costume contests are free to enter. First-come-first-serve on contests and trick-or-treating. You are encouraged to bring their own bag for trick-or-treating. Trick or treating in The District! Look for participating retailers sign on the storefront. Entertainment featuring a Halloween Costume contest! 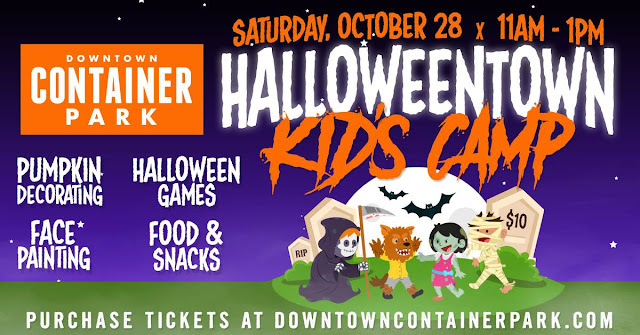 The Downtown Container Park neighborhood transforms into a safe and kid-friendly place to trick or treat this Halloween night with Halloween Candy Crawl! Bring-your-own-bag event invites the entire family to dress up in their most festive outfits and go container-to-container filling their candy pails with treats from select tenants. All-ages event is free and costumes are encouraged! Costumes with masks are not permitted for guests ages 13 or older. The first 500 kids will get a free trick-or-treat bag! A night of music, contests, tricky monsters, and yummy treats. Participants can arrive at 5 PM to start with car decorating. The most frightful trunk will win a LOL Kids Club birthday party! This event is FREE for ALL and will be held at LOL Kids Club's free parking lot. Wanna come inside to play? Admission is just $8 with a delicious treat of a FREE FROYO for every dressed up kiddo! 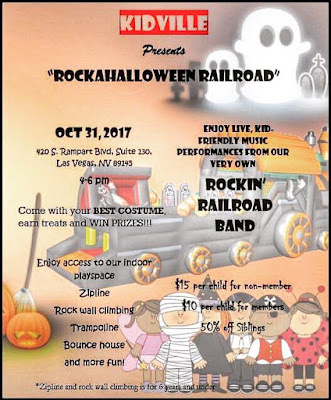 Providing the tricks is special guest; Master Illusionist Dixie Dooley, who will entertain and mystify Kids of all ages in his Halloween-themed performance. Get a Buffet + Beverage + $5 Fun Card for just $7/person. 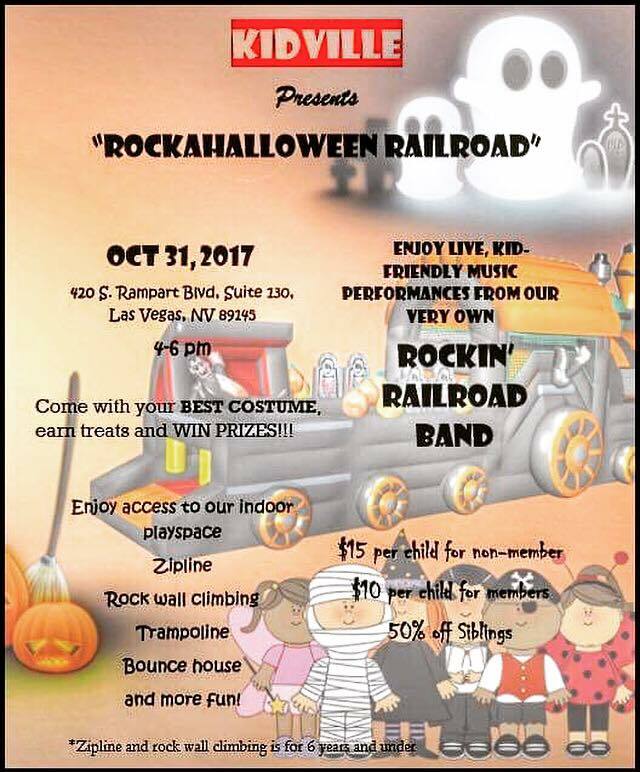 Live music and child-friendly performances featuring the ROCKIN RAILROAD Band! There will be a costume contest and access to the play space for ages 6 yrs and under. Please call 702-233-9253 for reservations. Music, hot beverages, games, and candy to help fill those pillowcases up! Come out to enjoy a night out with the neighborhood and have FUN WHILE THE KIDS GET CANDY. Haunted Houses, Scare zones, and 25 rides and attractions. This event is not suitable for children under 12 years of age. Adult discretion is strongly advised. No refunds will be issued due to scare factor. Only employees of Fright Dome and Adventuredome are permitted to wear costumes during the event. Looking for the BEST pumpkin patches around town?